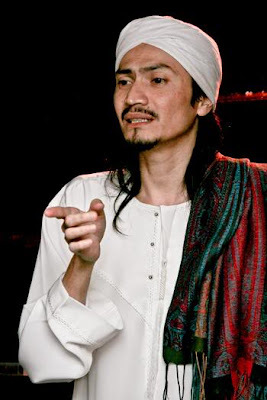 Abdul Akhil Hayy nashid has been a lively singer from Malaysia who has delivered many Malay songs. He is also a preacher in Malaysia. He was born in Gopeng, Perak. As a preacher, he was popularly known as DJ Akhil. During his youth DJ Akhil was a member of a Malaysian rock band which was named D'Riyadh. DJ Akhil was also conferred the title of Rock DJ because of his contribution in the field of rock music. He was a full-time musician from the year 1986 to 1990 had produced three albums. However, he faced many hurdles in his path as a musician and finally he had to return to his village. There he began to visit the village mosque again. DJ Akhil belonged to a very religious family. His grandfather was a teacher whereas his father was a mutawif ustaz pilgrimage (to bring pilgrims). So ultimately he returned to his roots and having given up rock music, he became a preacher. Presently, he is better known for his nashid songs and the religious lectures that he has delivered throughout the country.